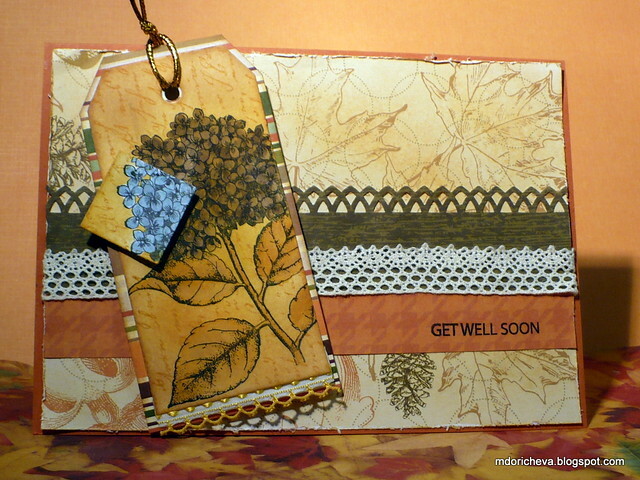 This is the forth and last card made for Inchie Challenge by Sharon Harnist (EHWCMD3) on the Classroom blog. This one was the most challenging. I played with my favorite stamp - Hydrangea from Hero Arts. TFL! I also enter into the Sketch Challenge #96 on Skipping Stones Design blog. This is so very pretty! Thank you so much for joining us over at Skipping Stones Design! Such a pretty card using our sketch! Thanks for playing along with SSD this week! What a clever take on the sketch and a really neat technique to showcase. Thanks too, for playing at the SSD Sketch Challenge! This is cool!! Thanks so much for playing along with Skipping Stones Designs sketch challenge. I hope you play along often!! Have a great day! Wow! So pretty!!! Thanks for joining us for Skipping Stones Designs sketch challenge! I am so happy to have this card in my collection, thank you - the Autumn colors are gorgeous!